Brugada Syndrome is an ECG abnormality with a high incidence of sudden death in patients with structurally normal hearts. First described in 1992 by the Brugada brothers, the disease has since had an exponential rise in the numbers of cases reported. The mean age of sudden death is 41, with the age at diagnosis ranging from 2 days to 84 years. Incidence high in Southeast Asia where it had been previously described as Sudden Unexplained Nocturnal Death Syndrome (SUNDS). Previously known colloquially in the Philippines as bangungut (‘to rise and moan in sleep’); in Japan as pokkuri (‘sudden and unexpectedly ceased phenomena’) and in Thailand as Lai Tai (‘death during sleep’). There’s really only one type of Brugada syndrome. Diagnosis depends on a characteristic ECG finding AND clinical criteria. Further risk stratification is controversial. Brugada sign in isolation is of questionable significance. In a nutshell, Brugada syndrome is due to a mutation in the cardiac sodium channel gene. This is often referred to as a sodium channelopathy. Over 60 different mutations have been described so far and at least 50% are spontaneous mutations, but familial clustering and autosomal dominant inheritance has been demonstrated. Coved ST segment elevation >2mm in >1 of V1-V3 followed by a negative T wave. This is the only ECG abnormality that is potentially diagnostic. It is often referred to as Brugada sign. Documented ventricular fibrillation (VF) or polymorphic ventricular tachycardia (VT). Family history of sudden cardiac death at <45 years old . Inducibility of VT with programmed electrical stimulation . The other two types of Brugada are non-diagnostic but possibly warrant further investigation (see discussion below). Brugada Type 2 has >2mm of saddleback shaped ST elevation. 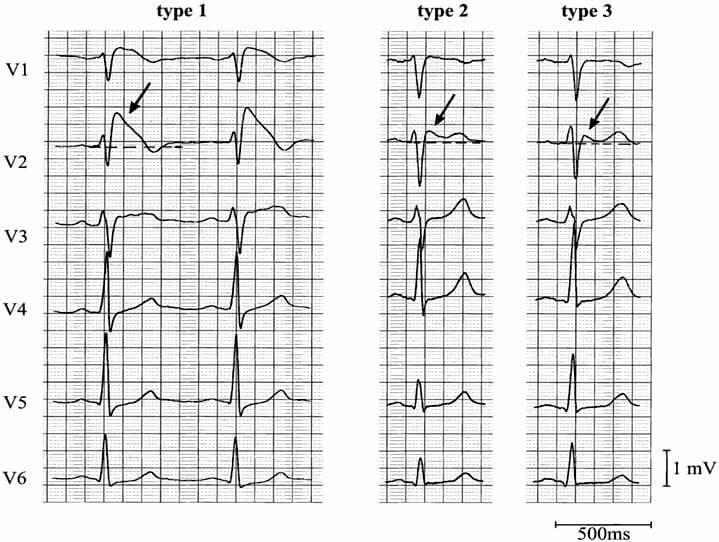 Brugada type 3: can be the morphology of either type 1 or type 2, but with <2mm of ST segment elevation. 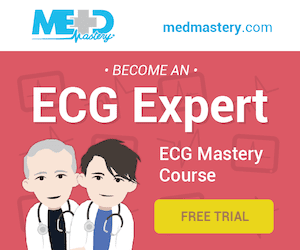 The only proven therapy is an implantable cardioverter – defibrillator (ICD). Quinidine has been proposed as an alternative in settings where ICD’s are unavailable or where they would be inappropriate (eg: neonates). Undiagnosed, Brugada syndrome has been estimated to have a mortality of 10% per year. Does this mean that a diagnosis in ED mandates admission? Probably yes for all type 1 patients if they present with suggestive clinical criteria. Asymptomatic patients with a type 1 ECG pattern. 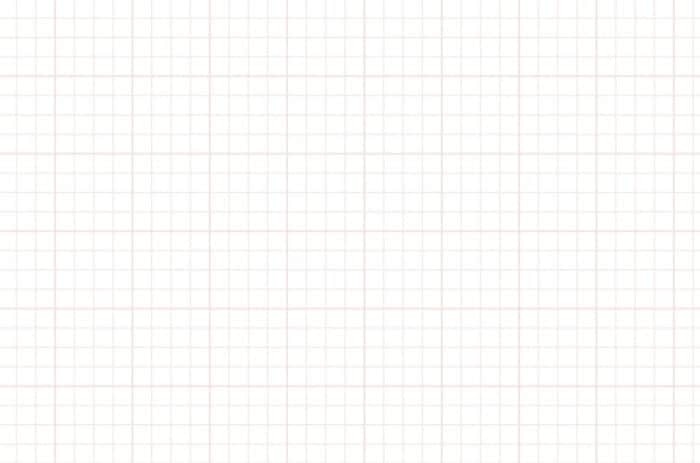 All type 2 + 3 ECG patterns. However this is controversial with much debate in the literature ranging from a very low threshold for EPS studies and ICD insertion (Brugada et al) to more conservative approaches. One of the problems is that EPS are far from a gold standard, with a negative predictive value of less than 50% and some studies suggest that we might be getting a little over-excited about this relatively recently described ECG finding. Admittedly study sizes are pretty small – but one study followed 98 asymptomatic Japanese patients with ‘Brugada sign’ on routine ECG for 7.8 years and found them to have no greater mortality than the rest of a 14000 strong cohort. This highlights the importance of the clinical criteria required for diagnosis listed above. 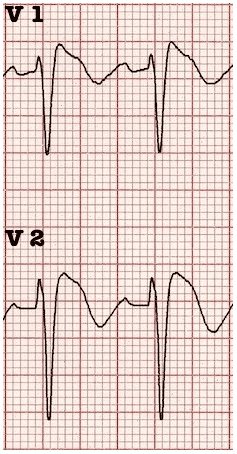 Pharmacological assessment has been suggested by some in Type 2 + 3 patterns, if Brugada syndrome is suspected clinically – the administration of sodium channel blocking drugs may convert these non-diagnostic forms into the diagnostic type 1, however the sensitivity of this test is unknown and it would appear that this subgroup is at extremely low / no increased mortality when compared to the general population.